Are you flying through Dubai International Airport but stuck without lounge access? It can be a nightmare dealing with that busy airport, especially when you’re exhausted after a long flight – which is probably the case if you’re flying economy! The good news is that Emirates allows weary passengers to pay their way into the airline’s lux business and first class lounges, regardless of status or class of travel. The price isn’t cheap – US$100 for four hours’ access to the business class lounge or US$200 for the first class lounge – but it could be worth it to break up a long journey or as a treat yourself. 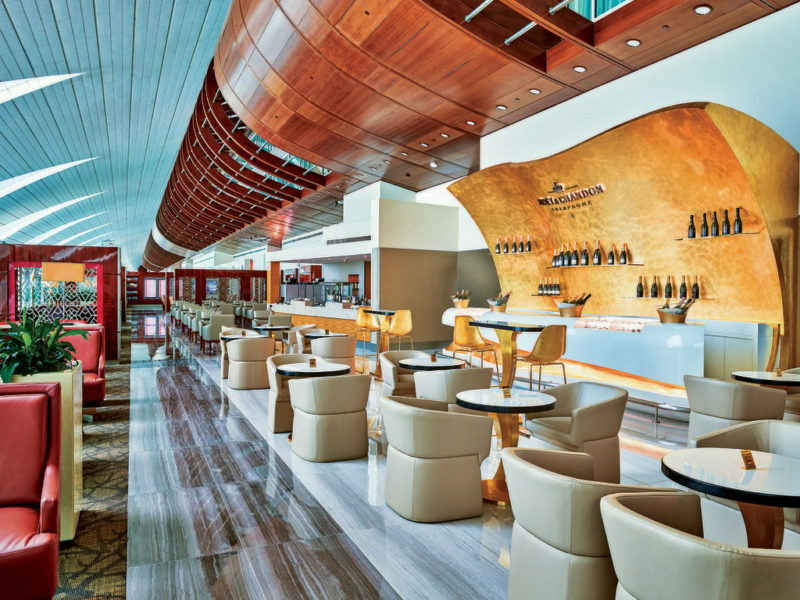 The Emirates lounges at Dubai airport are enormous and broken up into a number of sections. For example, there’s a new(ish) champagne bar at the business class lounge at Concourse B, where Emirates has partnered with Moet & Chandon to serve some of its top champagnes paired with canapés. The first class lounge offers a la carte dining, a day spa, a wine cellar, a cigar lounge and a nap area in various themed sections. With all that capacity, it’s not surprising that Emirates is opening up access to fee-paying customers. While the price may be a bit steep for travellers on a budget, I’m sure some people will find it good value – especially if you can eat and drink your money’s worth! All Emirates Skywards members and their eligible guests who are travelling on the same Emirates or Qantas codeshare flight (i.e. a Qantas flight with an EK flight number) can pay to access a lounge. Note that you must be a Skywards member, so make sure you join before your flight takes off. 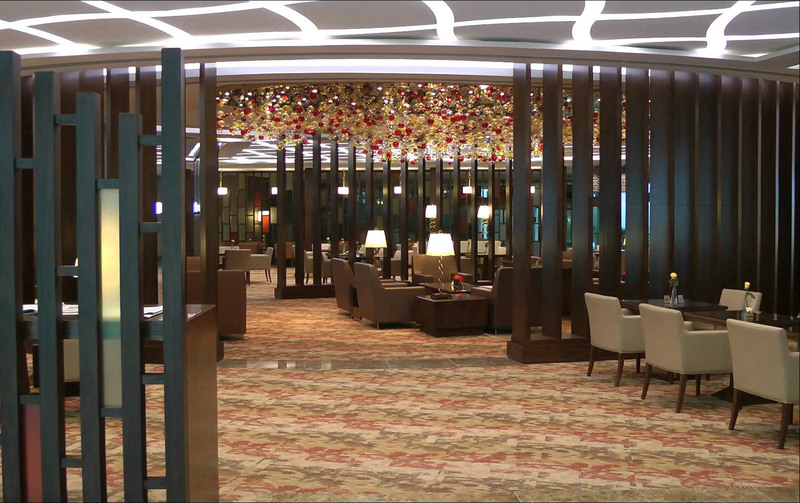 If you’re already a Skywards gold or silver member (and therefore already have access to the business class lounge), you can upgrade to the first class lounge for an extra US$100. Children 2 – 12 years pay half the rate, while infants under two years get in for free. 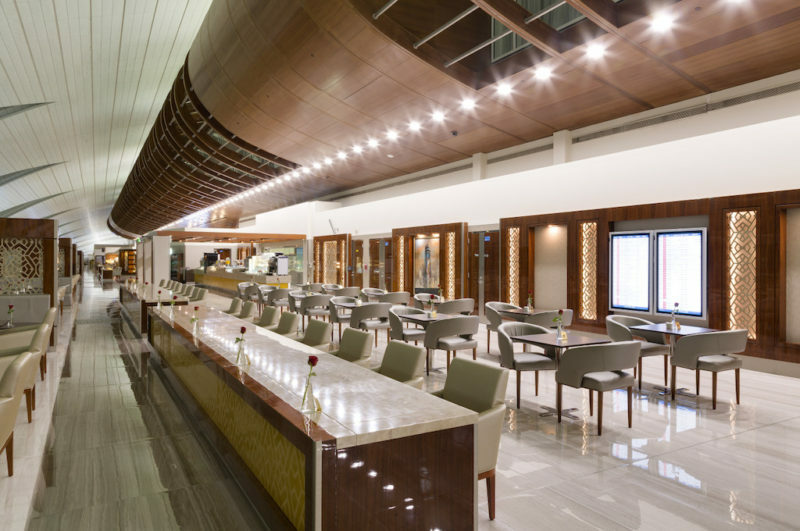 For more information about Dubai Airport lounges, click here.